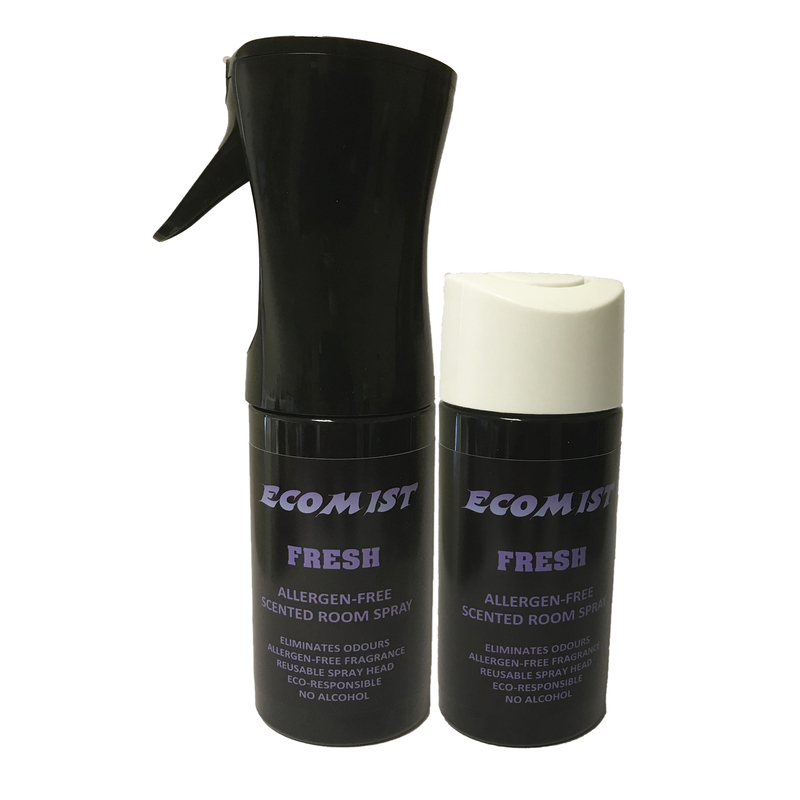 We are delighted to launch our very unique ECOMIST Non-Allergenic, aerosol-free ‘FRESH’ scented Room Spray. Delivered by a re-usable air-pump trigger our product is probably the most ECO room spray on the market. 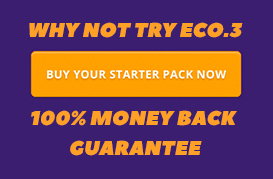 ECOMIST is family and pet friendly as well as designed to save our environment and CO2 emissions. The refill package can be returned to us to be safely recycled. Not only is this Ethical, the non-carcinogenic, allergen-free “FRESH’ scent is water-based and does not harm any surface that is water tolerant. 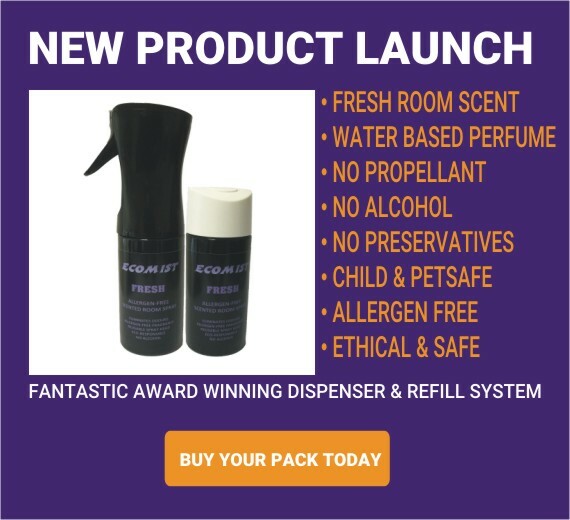 Its long lasting scent is dispensed without the need of alcohol or gas, cleaning the air as it flows through the room leaving a pleasant ‘FRESH’ perfume that has specifically been formulated to be non-allergenic.